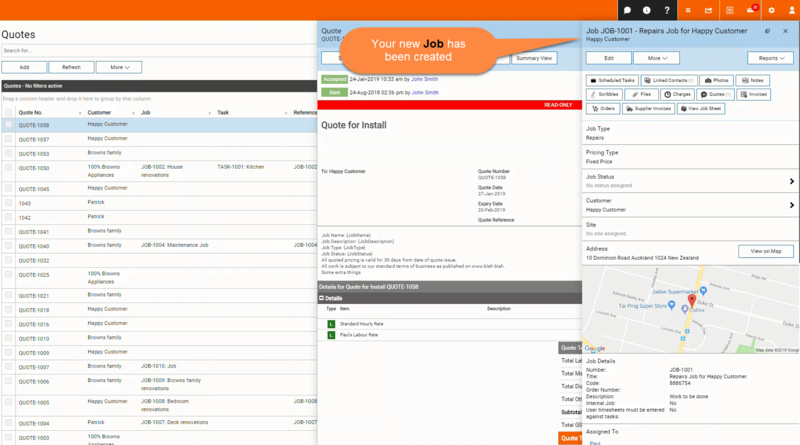 Create a Job from a Quote – Welcome to the NextMinute support and feedback centre. Typically once a Quote has been accepted the next logical step would be to create a Job for the work activity. We show you how you can Create a Job from a Quote in this article. 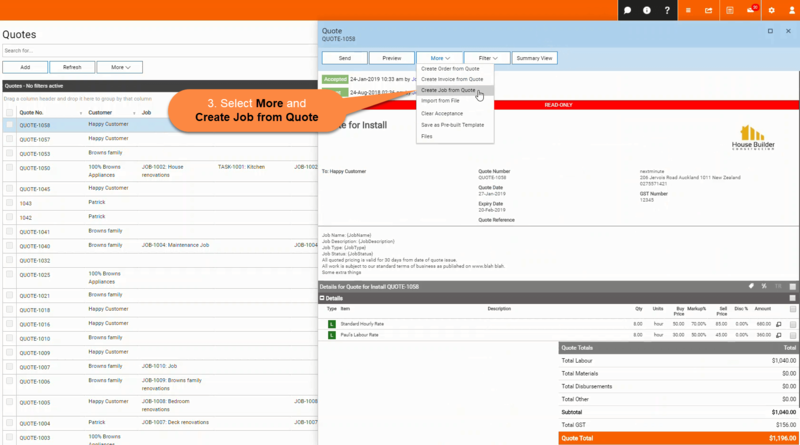 Step one: Navigate to Quotes from Accounts and select the Quote you would like to Create a Job for. 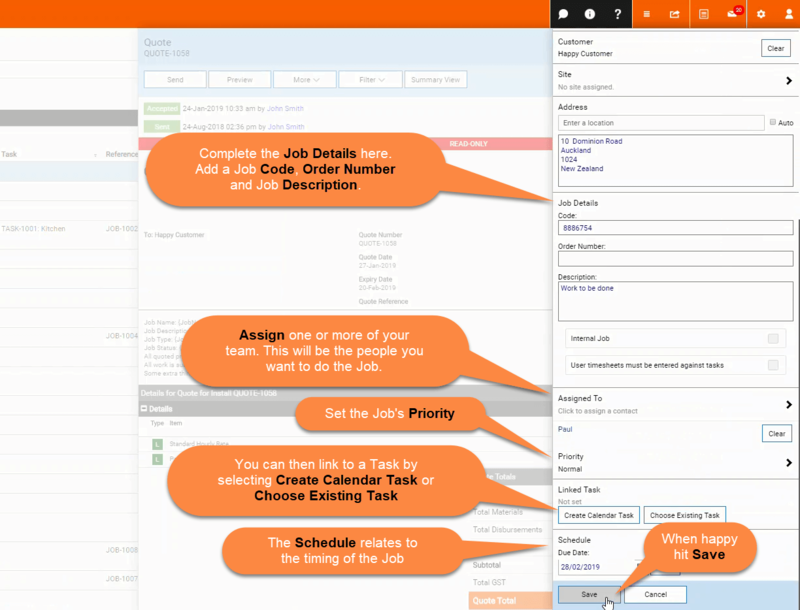 Go to your Jobs list to see your newly created Job. 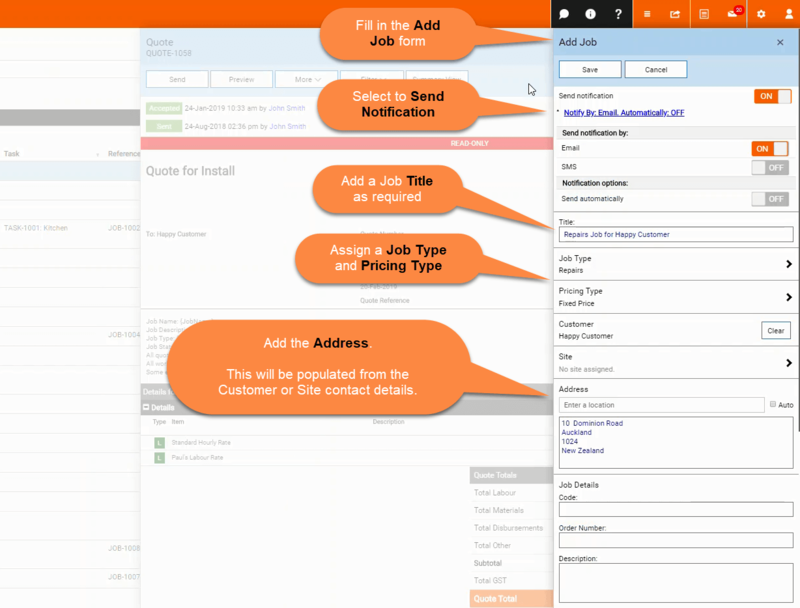 Select the Job to view its Details. We can see in the below image that there is one Quote against the Job, select to view the Quote.